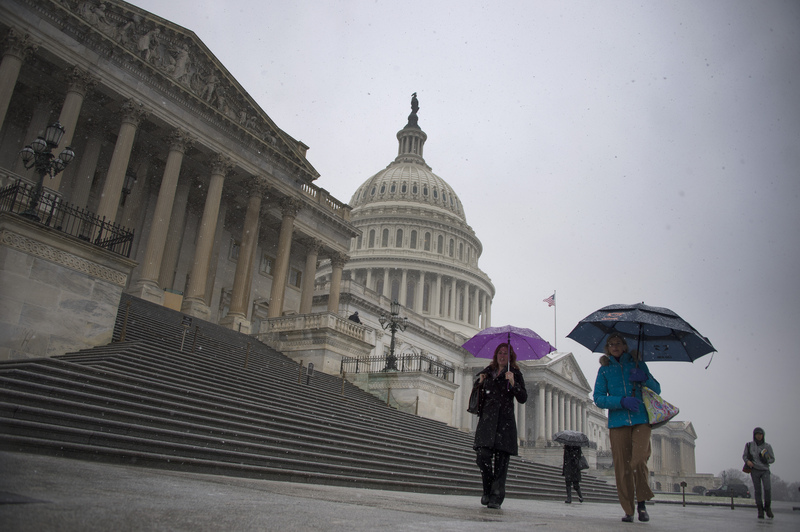 Two months after a Congress mired in partisan congestion gave way to the first government shutdown in 17 years, a mere one in 20 Americans believe the U.S. system of democracy works well and needs no changes, according to an AP-NORC Center for Public Affairs Research poll out Thursday. Those problems, respondents suggested, are topped by health care reform, jobs and the economy and the country’s debt, respectively. Eighty percent of Americans said they hope the government focuses substantial energy on those issues in the coming year, but only 76 percent said they expect to see real progress. When it comes to the economy in particular, the last best hope, respondents suggested, is Americans themselves. Though a majority said they’re not optimistic about their chances of grasping the American Dream, most qualified that they have at least some faith in their abilities to handle their own problems in 2014. Sloping faith in government is an aging trend: the percentage of Americans who think the United States governing system is heading in the right direction hasn’t topped 50 in almost 10 years. What’s more, few express hope that it can improve, with half saying they’re pessimistic about the United States’ ability to produce strong leaders, and 61 percent doubting the effectiveness of the way leaders are chosen.